I can't get enough of lipsticks and my collections keeps growing and growing. 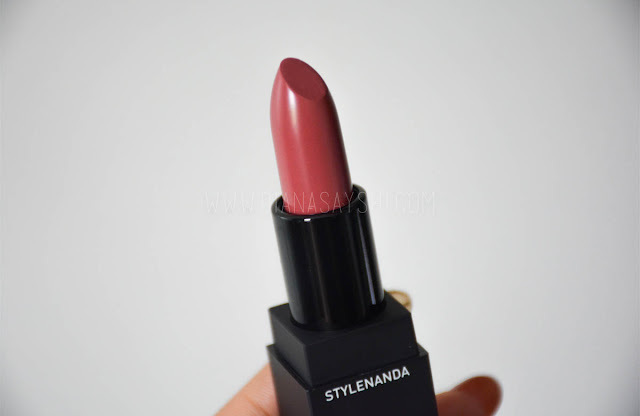 This time I'm welcoming 3 lipsticks from 3CE, a makeup brand from the Korean brand Stylenanda. 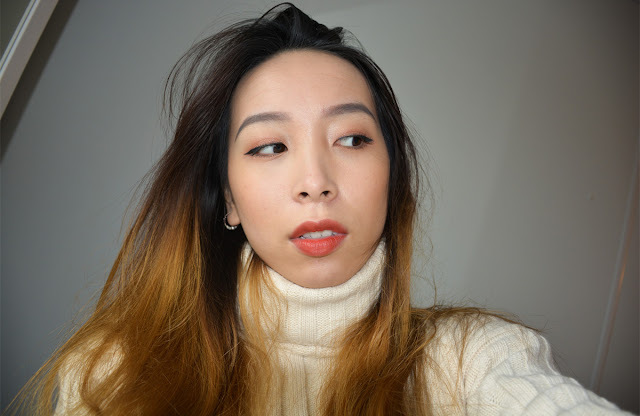 I'm already familiar with their lipsticks and also made a review about one of their lip lacquers. So if you're curious about that one click here! But the highlight for today are these gorgeous lipsticks! 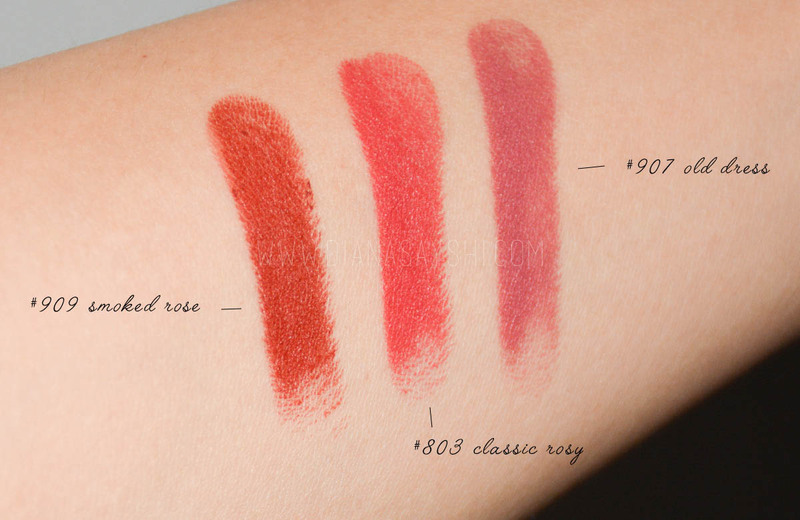 The colors I picked up are #909 Smoked Rose, #803 Classic Rosy and #907 Old Dress. I bought them in store when I was in Korea last summer but you can get them online on their website or Ebay. The packaging has a cube shape with a matte black color. 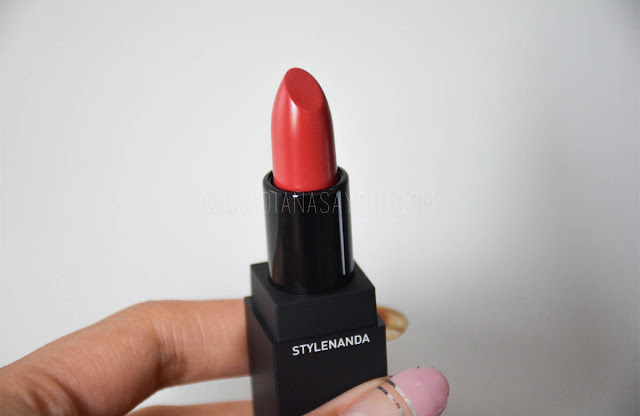 According to the collection they're from, some of them have another color, for example the $909 Smoked Rose which is from the "mood collection". 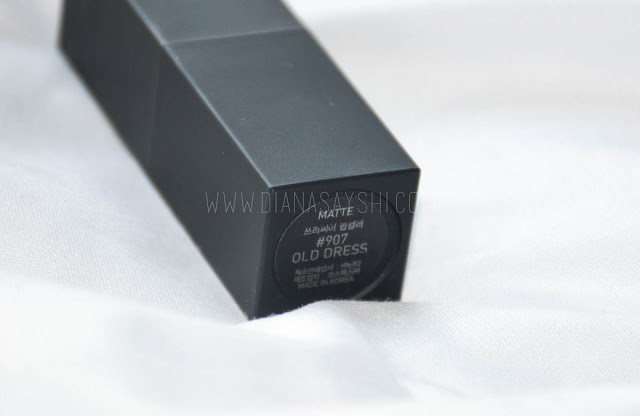 But most of them have the regular matte black packaging. On the back you can spot the brandname "Stylenanda" and in the front it's topped with the graphic 3CE logo. Overall very simple and edgy. 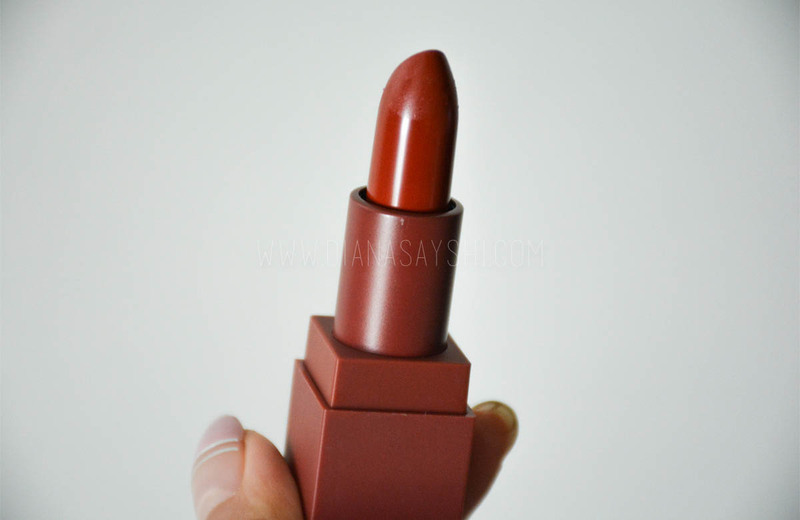 It's bigger than the MAC lipsticks but I feel this size is perfect when holding it in your hand. 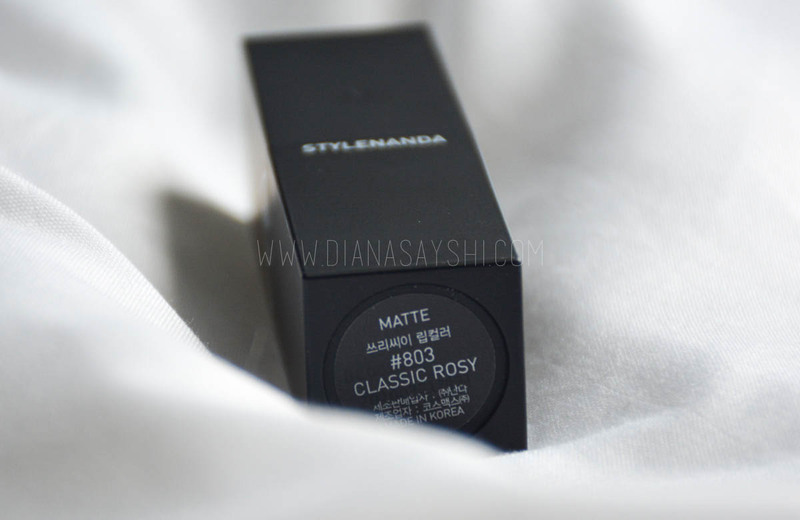 It's a matte lipstick so no glossy or glittery finish. The color pigmentation is very good, similar to the MAC lipsticks but creamier. It glides on your lips and stays on your lips. I'm wearing it right now actually for about 4 hours and after eating a croissant and drinking coffee the color is still there! I also don't feel any dryness on my lips right now so it's quite long lasting and moisturizing for a lipstick. 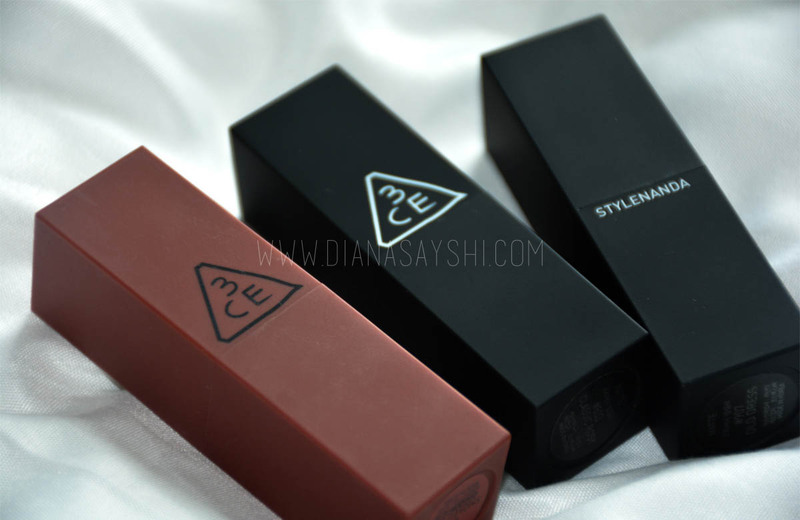 So I always compare 3CE with MAC because of the price range but the biggest reason behind this is probably that I only buy lipsticks from these two brands. I do own a blush and some eyeshadows but when I think about 3CE or MAC the first thing that pops up in my head are lipsticks. 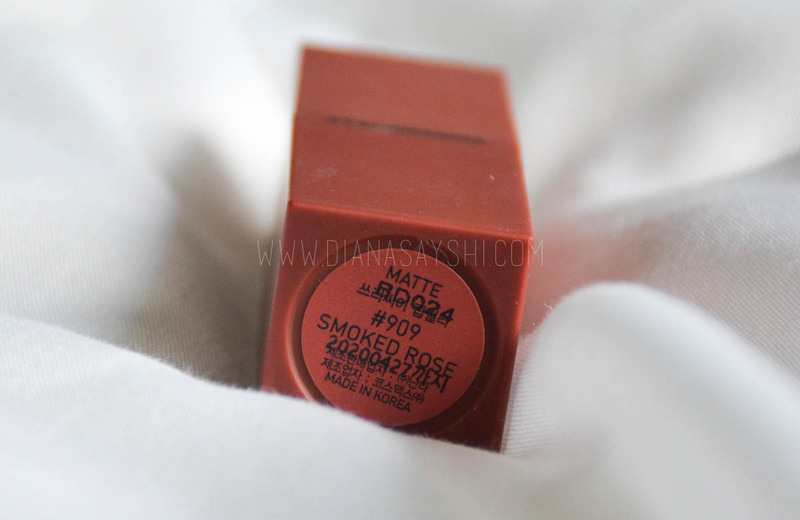 3CE is better than MAC in my opinion because their lipsticks are less drying, longer lasting and creamier! Also the packaging is so incredible simple but edgy, I can't wait to add more to the family what about you?